WHAT IS THE ‘ALCHEMY ENERGY PROCESS’? This ancient, simple, powerful, practical and En-Joy-able technique (it will just make you feel good) will dissolve & set free any old, stuck or uncomfortable energies – be it physical, emotional or spiritual energies that you are ready to have transform – ‘Alchemize’ & shift for you into EnJoyable Energies that Feel Good in your Life. WHAT IS ‘THE ALCHEMY ENERGY PROCESS’? EVERYTHING IS made of ENERGY! Everything is made of molecules, which are made of atoms, which are mostly EMPTY SPACE! However this space is not empty, it is actually the ‘background Energy of Space’, i.e. 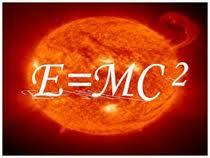 the Zero Point of potential energy from which Everything comes out of as we’re learning from Quantum Physics! All people who have become SPIRITUAL & MATERIAL MASTERS have remembered & remastered the ability to create and dissolve energies. 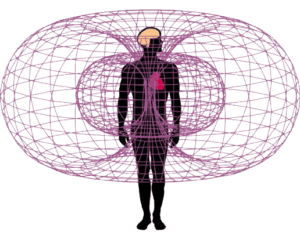 Jesus, Krishna, Buddha, Babaji, St. Francis, Yogananda and 1000’s more were & are ‘Energy Masters’ – WE ARE ALL made to be(come) MASTERS OF ENERGY! This Mastery of Energy does not ‘happen overnight’ but IT’S HIGH TIME we REMEMBER and RE-MASTER this innate God-Source given ability NOW. EVERYTHING IS CHANGING, ‘morphing’ into something else all the time. We as Humans are Masters of Transforming Energy – and we’ve forgotten how to CONSCIOUSLY TRANSFORM ENERGIES. NOW is the time for many Humans to RE-Awaken this ability in themselves! It will have profound implications on EVERY Level of our Realities – personal freedom, enjoyment, health, AND a Healthy Society will Naturally Follow. THIS is WHAT ‘THE ALCHEMY ENERGY PROCESS’ will show you how to do. We know enough about the ‘problems in the world’ and what’s wrong – it’s time to actually ‘ALCHEMIZE’ the old energies, distresses, pains, ‘stuff’ that is in us and our energetic bodies. ‘UnderStanding’ truly is ‘standing under’ and having less than a real experience with God and our god selves. It’s time to not just ‘Under Stand’ but to sense in real Awareness and DO and HAVE REAL ENERGY ALCHEMY AND TRANSFORMATION in practical and ways our lives can feel better, be more fun, more powerful and enjoyable. 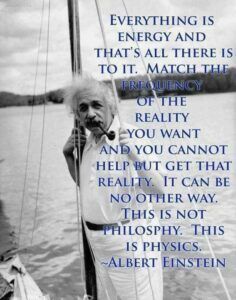 The Alchemy Energy Process is the actual DOING of the energy work that is so needed on the planet right now. When we ‘change’, ‘alchemize’, ‘transform’ OUR SELVES, our WHOLE WORLD CHANGES AROUND US and we ‘help the world’ in the absolute best and most powerful way we can? 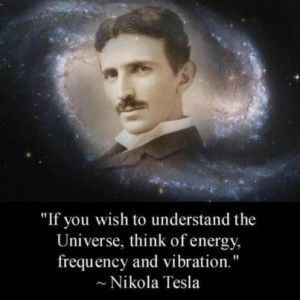 AS WE VIBRATE IN FREQUENCY SO IS THE WORLD AROUND US. 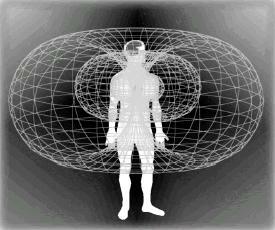 We see ‘the world’ through our own 12′ Heart Field Toroidal Electromagnetic ‘reality bubbles’ we walk around in. WE ARE CREATING OUR ‘WORLDS’ MOMENT TO MOMENT. we are truly ‘Pieces of the Earth’ – Children of The Earth, direct reflections – We are ‘creating our Worlds’! Literally. As within so without. The problem has been we’ve forgotten (or been programmed to forget some say) that WE ARE THE MASTERS of these electromagnetic ‘reality fields’ around us. HOW CAN WE ‘WAKE UP’ and ‘Smell the Beauty’ that Earth was really meant to be and feel our power again? ‘The Alchemy Energy Process’ is THE MOST POWERFUL TECHNIQUE KNOWN in the Uni-Verse. Now that’s a very BOLD STATEMENT. In fact let’s put that in BOLD and underline it. In a sense THE ALCHEMY ENERGY PROCESS is the ONLY Technique known – the only technique there is. Every Master, Awake Being that has ever taught on Earth – Jesus Jeshua Ben David, Gautam Buddha, Sri Krishna, Mahavatar Babaji, Mirabai, Mataji, Quan Yin, Paramahansa Yogananda, St. Francis and 1000’s of other real teachers – have taught and used ‘The Alchemy Energy Process’ in helping to awaken others. We are moving now from the ‘Information Age’ to the ‘Transformation Age’ – the Transformation Age will be the last age caught inside of time and space and it’s where we become true ‘Children of God’ again, pieces of the Source able to create and un-create, manifest and dissolve energies and matter. Here’s a YouTube video where I speak of how we are moving into the ‘Transformation Age’ now. Anything that REALLY CHANGES, that trans-forms from something into something else – is true ‘Alchemy’. – btw Al-Chemy is not ‘Al the Chemist’ of modern so called ‘chemistry’ done by people in lab coats in sterile buildings thinking way too much in their heads, but real Al Chemy is the real trans-‘form’-ation of energy and matter into more preferable ‘forms’ of energy and matter that you want. Here’s an example – let’s say you have an old fear of intimacy – that in the past has resulted in having trouble with relationships and finding real love. After doing The Alchemy Energy Process this ‘old energy’ around relationships transforms into being able to have fun, loving, sexually enjoyable relationships. The actual ‘old energy’ of disappointment, hurt, fear, anger will ‘alchemize’ into an energy and ‘divine enthusiasm’ (en-theos) and support you – in fact it will just happen automatically once the old energies are transmuted into you having more enjoyable relationships. The same energy that ‘was the problem’ becomes ‘the solution’. This is just like Chinese Taoist Masters in the past that used ‘poisons’ to help ‘alchemize’ and ‘enlighten’ their energies. What will you actually do? When you do ‘The Alchemy Energy Process’ you will be Alchemizing energy at the level of Creation-Source. When we do this the ‘rest falls into place’. It’s not difficult. But is has been forgotten and kept ‘secret’ on Earth for a long time. It is certainly not taught in our schools and the stuck old mindset often sneers at the possibility that we have this power to Transform – Alchemize Energy and Matter. But we Do! It’s our Divine Birthright & right as Souls. You will need to actually do the process. It’s four simple steps that take less than a 1/2 minute to do. And after you know it – it will become a part of you that you can easily do wherever you are. Just like learning to ride a bike took 5-10 times of actually getting on the bike. But you did it – because you wanted to enjoy riding bikes. So learning this process simply takes you doing it 5- 10 times and watching – feeling the IMMEDIATE RESULTS after doing the short process as proof for yourself that it works. You will notice and FEEL an immediate shift in your Inner Energy Field. You will notice Physical manifestation results as you interact with the world around you, with others etc. Many people report an exhilaration, a feeling of energy surging through them as they do the process when they realize “I can Do This!” and they feel hopeful and powerful about being in charge of their own reality again. It is not a ‘magic pill’ – you will have to do the process – and there are some energies that need more ‘alchemizing’ than others. 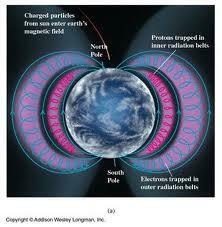 ‘Lifetime’ or ‘Soul Lessons’ that we are learning are usually not ‘instant learning’ energies for ex. But you brush your teeth everyday without too much fuss or pain – in the same way ‘Alchemizing Energy’ becomes a habit after a while & you become a Living, walking ‘Alchemy Process’ yourself just like real Masters are. The Real Alchemy is the Alchemy of our Souls – where we change, trans-form, activate, wake up into the true ‘gods’, light beings, electromagnetic energy masters that we really are and stop playing this game of loss, pain, scarcity, unconsciousness that we’ve participated in on Earth for the last 1000’s of years. Do you have any energies, old patterns, old dysfunctions, pains, emotional old responses, spiritual frustrations that have been ‘hanging around’ you for years? At this time on Earth who doesn’t? This is a big ‘purging’ time for the whole planet. Are you READY TO ‘AWAKEN’ AND BE FREER? This process WILL help DO THAT FOR YOU. or if you are ready to OPEN TO YOUR REAL SPIRITUAL BEING and to just feel freer, younger, and really connect with real God, your own Spirit – The Alchemy Process will help activate – open this for you. If you’re ready – go ahead and order The Alchemy Energy Process now. You will be taken to the Videos that walk you through the Learning The Alchemy Process & then the video where I will personally do the Alchemy Process with you. And then please share your experience in the forum – let us know how it’s going and what you’re experiencing using the Alchemy Process. Our hope and intention is to create a world wide forum here of people using the Alchemy Process to help themselves and the world in practical ways to WAKE UP and enjoy our lives on Earth again. E=nergy & M=atter are interchangeable. Everything is made of ENERGY – GET YOUR ENERGY RIGHT and start CREATING THE WORLD YOU WANT for you and others. The Alchemy Energy Process is THE MOST POWERFUL PROCESS available anywhere for managing our energies. A onetime $69.95 will give you UNLIMITED ACCESS to the 2 VIDEOS of Tobias Lars personally guiding you through THE ALCHEMY ENERGY PROCESS – one of the MOST POWERFUL PROCESSES available today for learning to work in a practical direct experience way with our own Spiritual Energies. NOTE: if you sincerely cannot financially afford this but feel a strong pull that it would be very helpful for you – please email us at info@soulcounseling.com and share with us what you could offer in ‘valuable exchange’ & how you feel the Alchemy Process would help you and your situation. We try to honor all SINCERE spiritual requests and needs. If you have a purchased The Alchemy Energy Process, please log in. If not, and you are ready to order – just click ‘Add to Cart’ complete the ordering process and you’ll get access. It’s nice when stuff works in a world when we’re used to things not quite working a lot. Very Cool. Tx for your feedback. 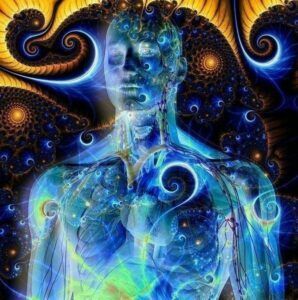 I understand that you recommend mastering the Inner Body Awakening before moving on to the Heart Energy. Is that also recommended before using the Alchemy Energy Process? Yes – ideally it is best to be able to ‘feel and sense’ your Inner Energy Body before using the the other 2 processes. It’s not a rule however…many people are ready to do all processes, depends on our individual level of awareness.